Are you having a Candy Land inspired birthday party for your little angel? If so, this is the perfect birthday outfit for her. This set is made with white and ultra bright colors mixed together to really pop. 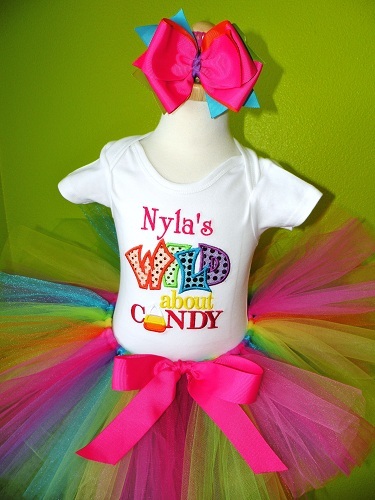 The extra full tutu is white accented with a rainbow of colors and a colorful dot ribbon bow. 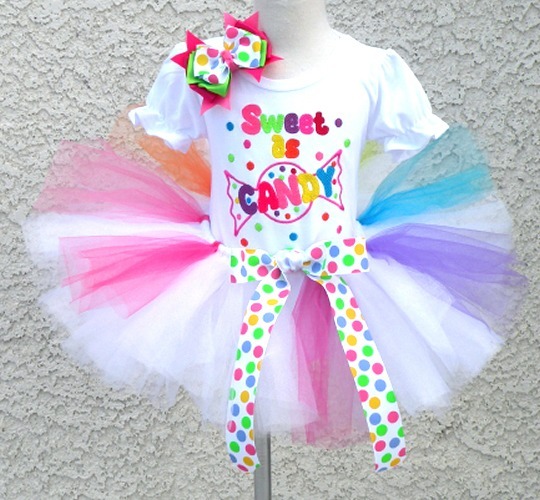 The full set includes a sweet as candy onesie or shirt, rainbow tutu 8.5", and a matching headband with a large bow. This item is custom made in the US. Please allow up to 12 business days (Monday thru Friday) for your order to be created, plus shipping time.